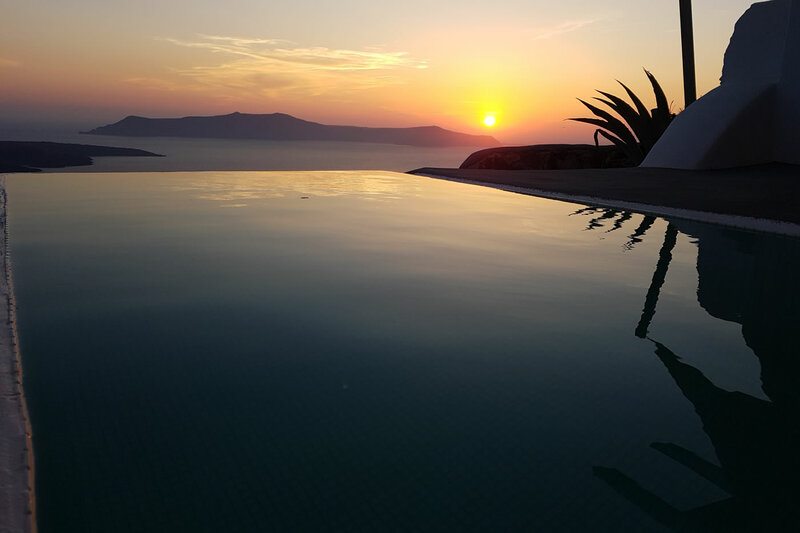 Your ultimate private villa, nestled into the Caldera cliffs, with uninterrupted views of the Aegean sea, the volcano, and the magical sunset. 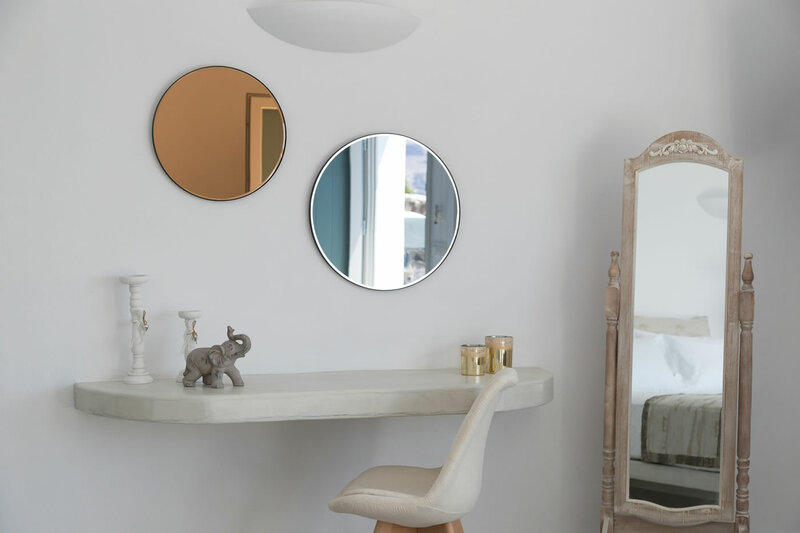 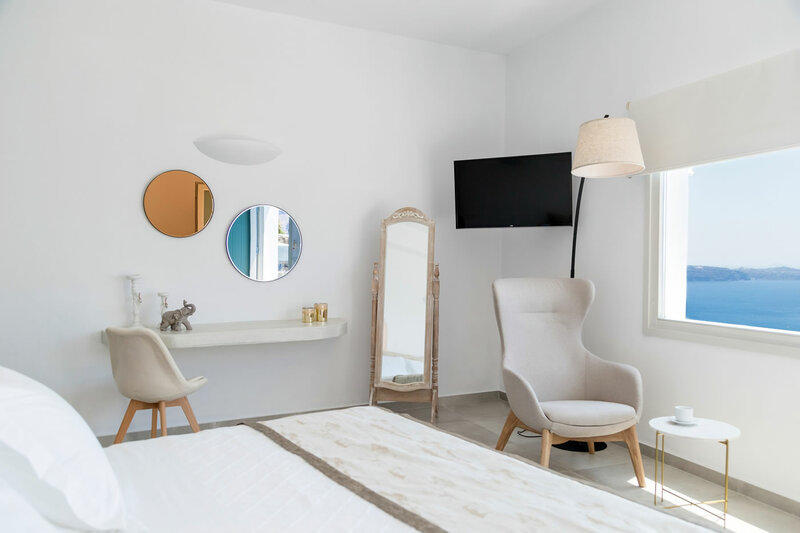 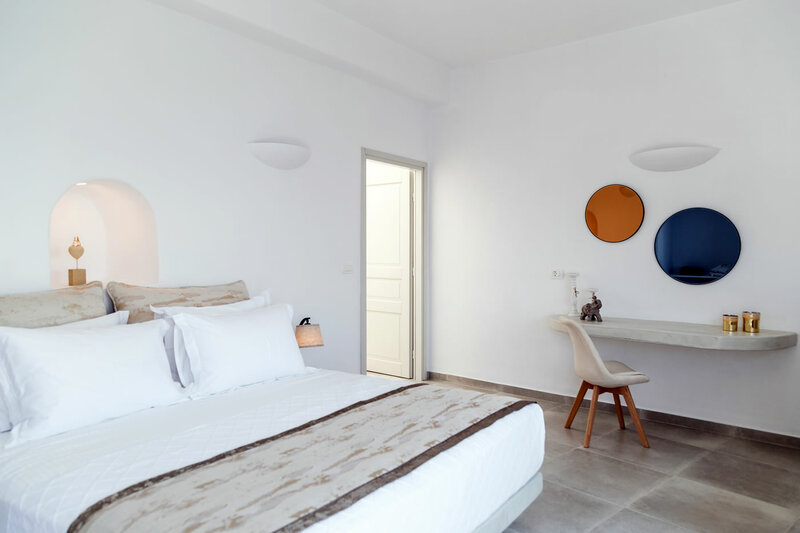 Magnificent interior with local Cycladic design, investing detailed sophistication and comfort. 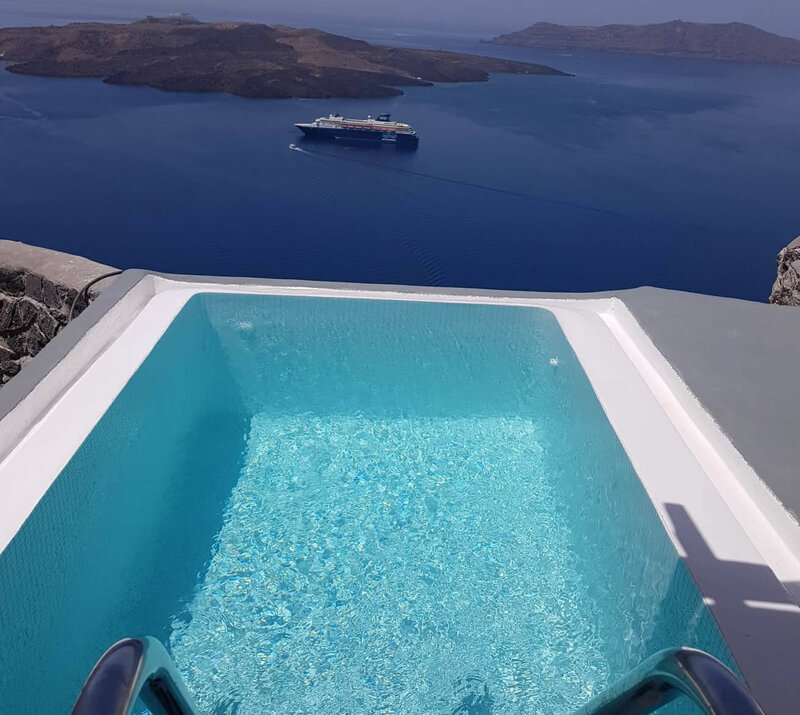 Unwind in your private balcony with loungers, and relax by your private plunge pool. 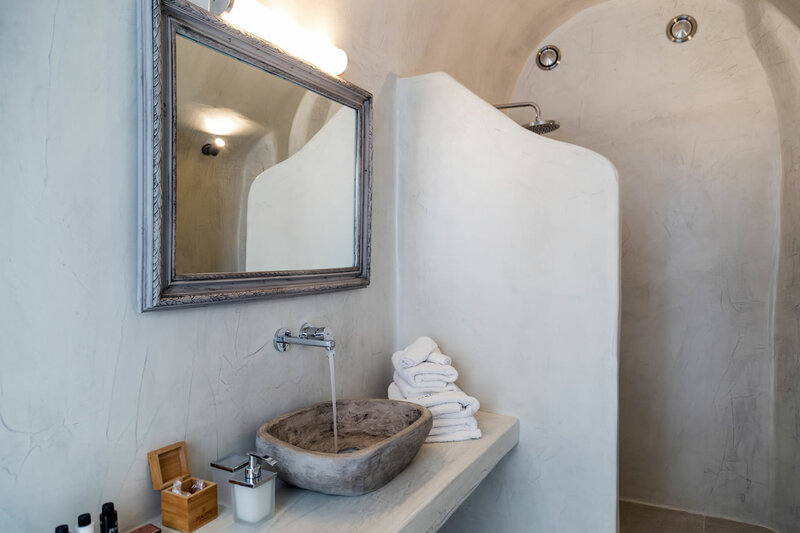 The suite offers en-suite bathroom with a rain shower, king size bed, and open plan living room. 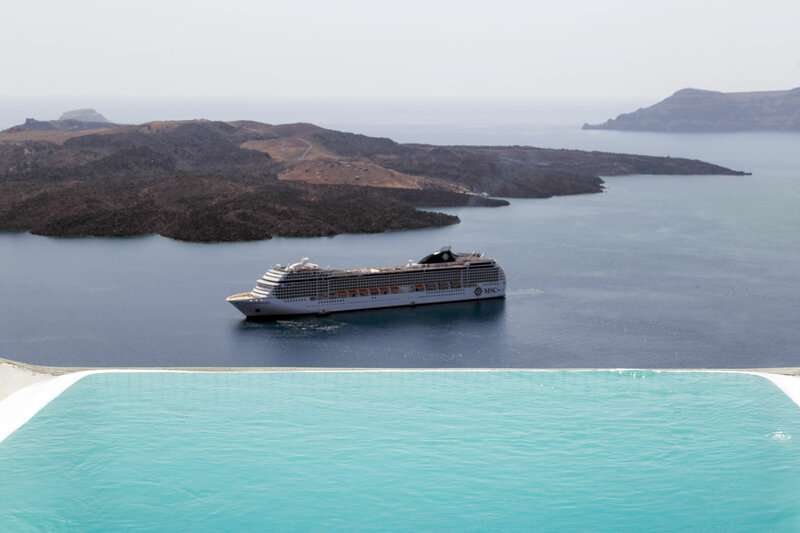 A luxury hotel in Santorini that offers exclusive accommodation with magnificent views of the volcano & the caldera. 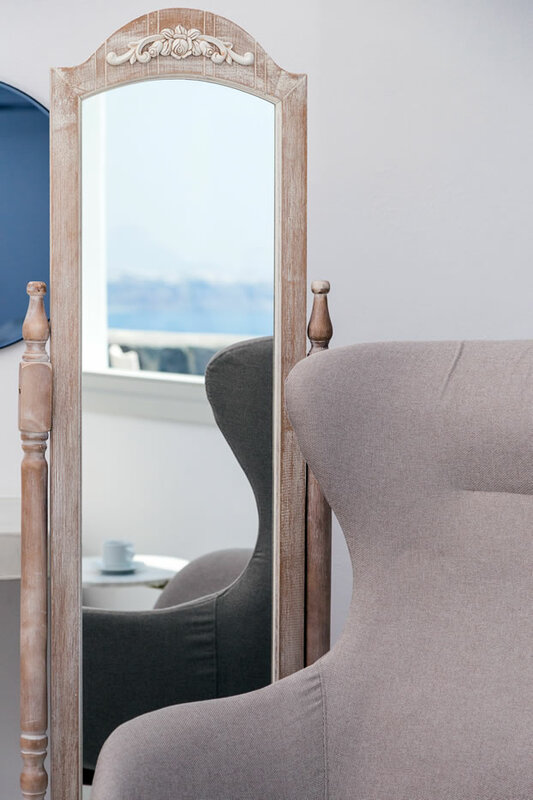 Located right on the cliffside, in a quite spot that provides total privacy, but still near the center of Fira. 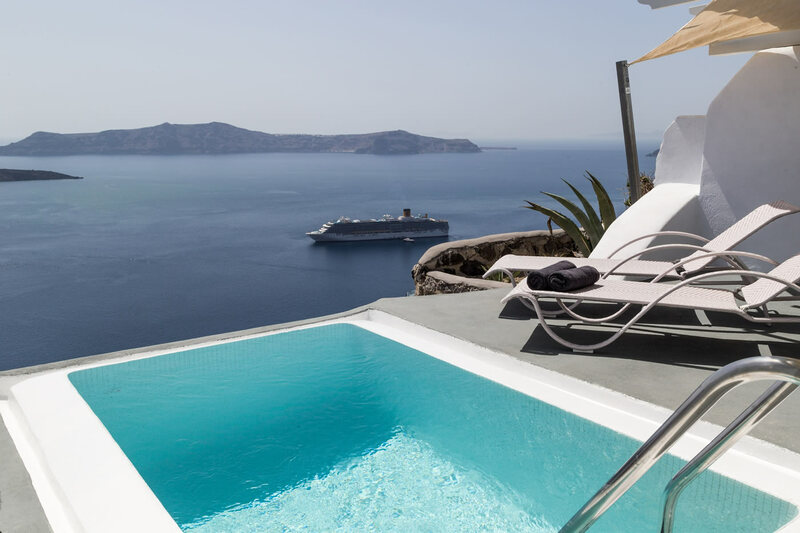 All 9 suites have private terraces, heated Jacuzzi or private pools & panoramic views. 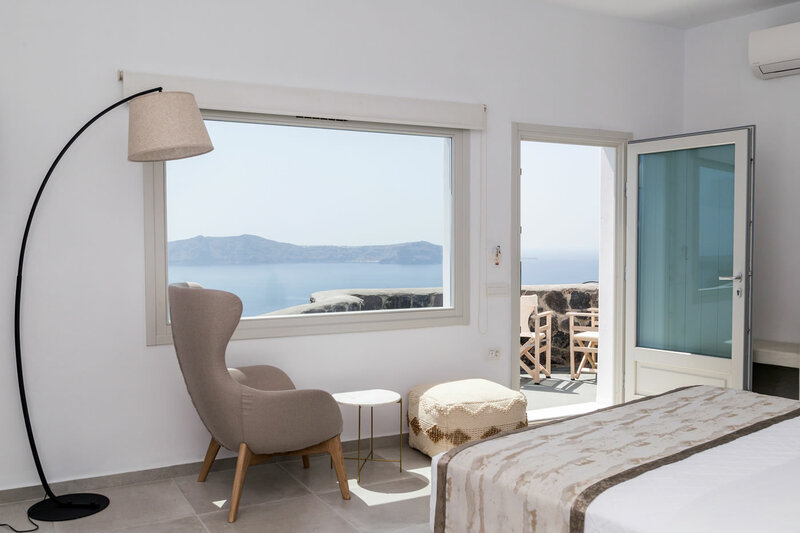 Adamant Suites is a perfect romantic getaway in Santorini ideal for honeymooners.